Each transcription and document containing a transcription must be formatted in a very specific way. No deviation from our provided format is allowed. Follow the below steps to make sure you meet all requirements. Transcribe the given recording in a Microsoft Word document. Use the tips below as you are transcribing the recording to make it easier for you to format the document once the transcript is complete. Insert one ‘tab’ between the speaker name and the spoken dialogue as you transcribe the recording. Insert a line break between each paragraph as you transcribe the recording. Bold each speaker label as you transcribe the recording. The given File ID and File Name should be used as the title within the document. Underneath the File ID, you should type out the File Name. This will be provided to you in the display of each task in WorkStation. The File ID and File Name should be bolded and underlined. Save the file using the File ID. After the document is fully transcribed, highlight all text except for the file ID and file name at the top of page 1. 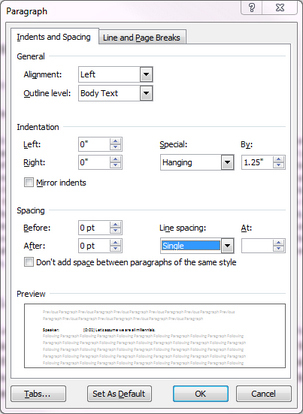 Right click on the highlighted text and choose ‘Paragraph’. 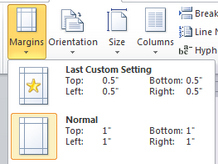 At the top of the toolbar ribbon, choose ‘Page Layout’. Under ‘Margins’, choose ‘Normal Margins’.